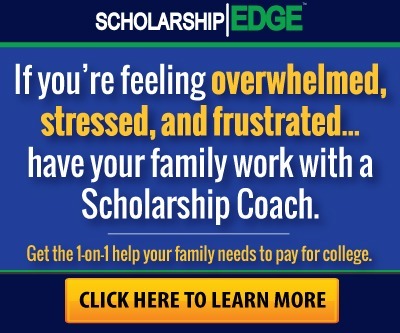 A lot of families are going about scholarships all wrong. You can’t afford to make those same mistakes throughout your scholarship journey. This video will make sure you’re not losing scholarship money that could be used to pay for tuition, fees, books, and any other college expenses you may incur. The 3 scholarship mistakes that cost families thousands of dollars. Why using the same scholarship essay is a bad idea and what to do instead. Ways to avoid becoming overwhelmed by all of the scholarship information that you hear and learn from teachers, counselors, or online. 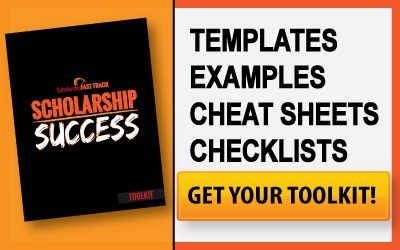 Download the FREE Scholarship Success Syllabus, so you can check off each Scholarship Fast Track video you complete! Also, take notes, record your ideas, and use it as an outline to help you develop your family’s unique scholarship system. Feel free to post a question below in the comments or in our Free Scholarship Talk Facebook Group. New or need to get back to the Scholarship Fast Track Dashboard? Just click here. Having earned well over $150,000 in scholarships to pay for her bachelor's, master's, and doctoral degrees, Gabrielle McCormick teaches students, parents, and education professionals from across the country about winning scholarships to pay for college. Between finishing her dissertation and watching the NFL and NBA, she runs Scholarship Informer in her efforts to make college affordable for anyone that wishes to attend. Don't get left behind! 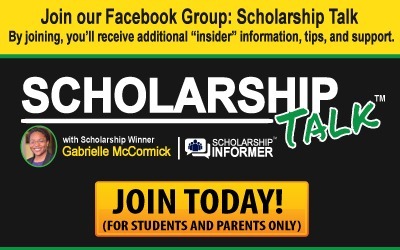 Join other families in staying up-to-date on current scholarships, application strategies, paying for college, and more! 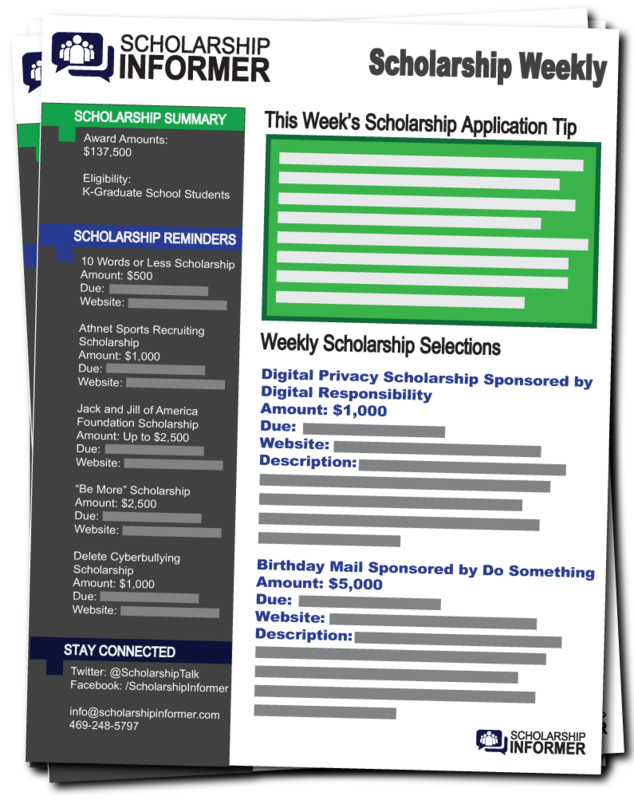 Need 1-on-1 help with finding and applying for scholarships?